The Butterfly House has joined with St. Louis County Parks and Libraries to be a part of the national movement to protect pollinators and their habitats through our newly-launched initiative, Project Pollinator. The mission of Project Pollinator is to promote an appreciation of all pollinators through education and creation of pollinator gardens. Our goal is to educate the public about the importance of pollinators, beyond the familiar bees and butterflies, and to provide demonstration gardens at county parks, libraries and other public venues. We launched on March 15th, 2016. On that date we issued a challenge to the municipalities of St. Louis County to plant pollinator gardens in their public spaces. 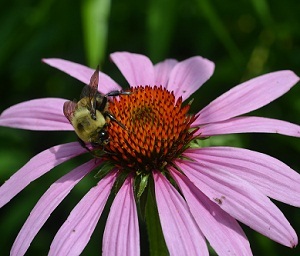 Residents of St. Louis County can join in the effort by planting pollinator gardens of their own. Together, we can work to restore habitats and improve the health of native pollinators. Bring Project Pollinator into your Classroom! Observe soil and soil-loving insects and plant seeds that develop into a pollinator-attracting plant that you can take home to start your own beneficial bug garden. This presentation includes a free visit (to be scheduled separately) from a Butterfly House horticulturist to guide the construction or enhancement of a school pollinator-attracting garden. Discover new facts about backyard bugs with a craft that focuses on four plants and the pollinators they attract. Enhance your visit to the Butterfly House with an Outdoor Garden Tour! Observe beneficial bug-attracting plants and butterfly host plants up close. 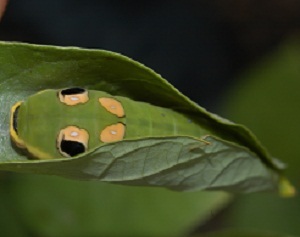 We will observe many of our smallest guests from lacewings to butterflies. Click these links for more information on guided tours and outreach programs. Call our Education Department at (314) 577-0888 x 2 or email butterflyhouseeducation@mobot.org to schedule a class or tour. Every third bite of food we eat is made possible by a pollinator. More than 75 percent of flowering plants rely on animal pollinators. Many plants rely on only one animal for pollination. Every year, pollinators contribute to nearly $30 billion of U.S. crops. The decline in pollinators makes access to and availability of affordable fruits and vegetables more difficult. Watch for pollinators visiting your flowers. Make a nature journal or take photographs to document the different species that visit. The IDnature web guide is a great source for identifying butterflies you see. BugGuide is a valuable source for identifying any native insect. Plant native plants that provide nectar and larval foods for pollinators. Be conscious of bloom time so that your garden will supply nectar year-round. Wild Ones provides Native Landscaping Grants for non-profits looking to establish pollinator gardens. Replace lawn areas with planting beds or habitat for beneficial insects. Build a nest for native bees. The Xerces Society has many helpful handouts on how to build bee nests. 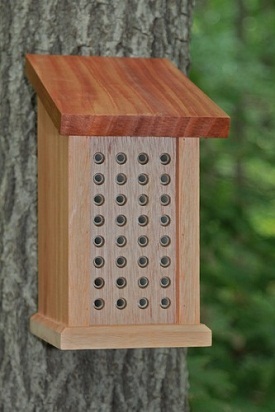 They also provide information on building tunnel nests for bees. 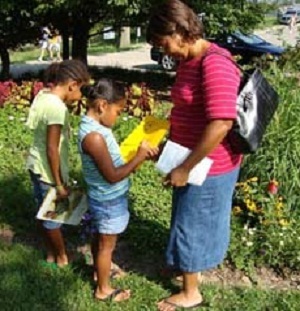 Volunteer for garden groups or nature-based organizations. Support local farmers and local plant nurseries. Contact projectpollinator@mobot.org with inquires and information needs. Project Pollinator benefits from the advice and support of 14 local conservation agencies. We are proud to call them our partners. Please visit their websites to get more information on how you can make a positive impact on native wildlife in your neighborhood.